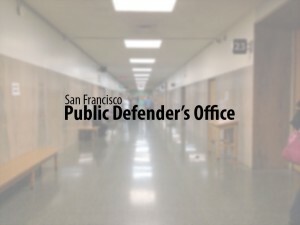 San Francisco, CA — The National Legal Aid & Defender Association (NLADA) has selected San Francisco Public Defender Jeff Adachi as its 2012 Reginald Heber Smith Award winner. Wallace added that Adachi has significantly advanced the cause of equal justice for both individuals and communities outside the courtroom as well. In 1998, Adachi founded the Clean Slate program, a free service that offers people with old convictions a chance to clear their records, which has led thousands of people over the past decade to find vocational, educational and housing opportunities. He has taken a holistic approach to reducing recidivism by providing a panoply of innovative programs to clients such as drug court, behavioral health court, a full service juvenile division and on-site social workers. Adachi also co-founded the Reentry Council, which helps coordinate services and assistance to individuals recently released from prison. Adachi has also worked to educate the public on the important of constitutional rights and the presumption of innocence. In 2009, Adachi produced a television public service announcement, “Innocent Until Proven Guilty,” which takes aim at racial profiling while illustrating for viewers the presumption of innocence.